Solar panels reduce the carbon footprint of your home and help you contribute to a cleaner, more sustainable future. But solar energy is also a valuable investment. Your solar system will lower your energy bills and offers an immediate payback from subsidies. Solar also increases the value of your property. In fact, homes with solar systems sell up to 20 percent faster and at a 17 percent premium. Trina panels are backed by an industry-leading 25-year Limited Manufacturer’s Warranty and a strong track record of reliability and performance in the field. 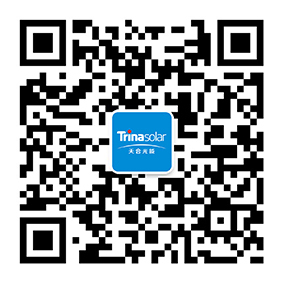 As a vertically integrated company, Trina Solar oversees the quality of its products across the supply chain, and all Trina panels undergo in-house testing and independent, third-party certification. As an industry leader in design and innovation, Trina Solar offers flexible and cost-effective solutions that maximize solar performance. In addition to our high-performing solar panels, we offer smart module technologies that provide effective solutions for space constraints, shading, limited budgets and other challenges. With innovations including Trinasmart and Trinaflex, you can maximize your system’s return on investment while still limiting your upfront system costs. five key requirements. Learn more today by downloading the residential requirements eBook.